Got G'Nads Press, 9780985207519, 94pp. Wonder Body is a multi-faceted exploration of the ways our bodies can sense, know, and receive pleasure. 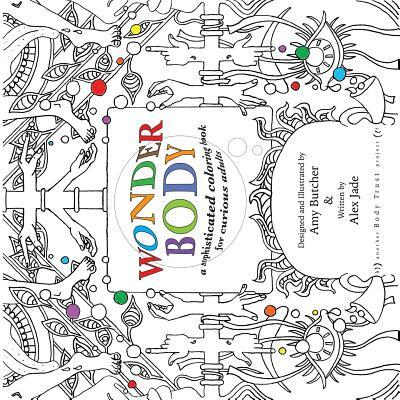 Through engaging text, expressive images, and the experience of coloring itself this unusual coloring book creates a rich, multi-modal, somatic experience of embodiment. Wonder Body is 92 pp. and contains 36 full-page illustrations with matching text. There's even a bonus flip book built in for extra whimsical pleasure. Top bound for ease of use by left or right-handed colorists. Convenient 8.5" square format for portability.